TACMED and SOF: (18Z) ret. 5th Special Forces Group (A) and 1st SFOD-D.
20 year highly motivated and decorated Army veteran who has served in both conventional units and in Special Operations in war and peacetime. World class survival science instructor. Specialties: Combat Marksmanship, Military Freefall, Urban Evasion, Explosive and conventional Breaching, Tactical Combat Medicine, Austere Critical Care Medicine, HUMINT and Counter Surveillance, CBRN mitigation, and low-visibility operations. Tired of social media censorship? Become a member and hop on our global forum! Some basics tips on how to navigate using the Military Grid Reference System (MGRS), a compass, and a protractor. Tip on Navigating using the Military Grid Reference System (MGRS) by: KDtech.org Some basics tips on how to navigate using the Military Grid Reference System (MGRS), a compass, and a protractor. https://www.youtube.com/watch?v=f1PYnel1g14&w=560&h=315 Great tutorial on making a rope litter! https://www.youtube.com/watch?v=ql7w9ho79T8&w=560&h=315 Published on Jul 19, 2013 The Abdominal Aortic Tourniquet (AAT) is the most stable device available to treat non-compressible junctional pelvic bleeding. It is FDA approved for difficult to control inguinal bleeding. The AAT is the only junctional device that has actually saved human life! Click here to learn more! https://www.youtube.com/watch?v=2KHaXzwdyes&w=560&h=315 Great video from the pros over at www.TacMedSolutions.com. Hop on over to their YouTube channel and give them a like! Uploaded on Oct 23, 2007 Visit our educational blog at www.tacmedsolutions.com for more information. This is one of the best videos out there to illustrate what happens and how to treat a tension Pneumothorax. Enjoy! 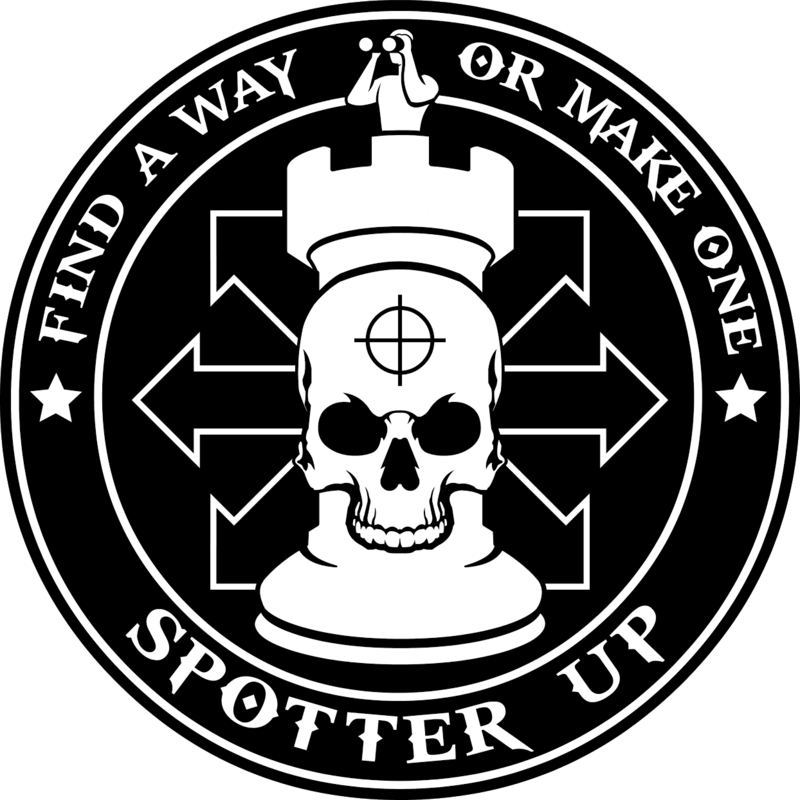 Spotter up is a veteran owned and operated PodCast and they have built an outstanding group of veteran businesses to tell their stories... Check them out by clicking on the the logo below! 07-06-2015 Hits:4219 CAG Admin Jay P.
06-10-2015 Hits:4276 Communications Jay P.